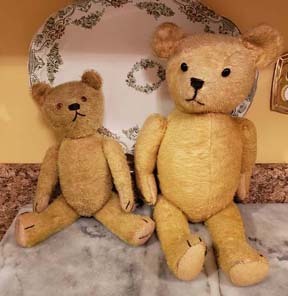 I bought these two antique/vintage teddy bears this weekend, in different antiques malls. I believe both are mohair. 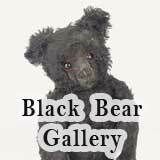 The larger bear measures about 18"-19" and has black, shoe-button type eyes (sewn on). He has a sort-of hump to his back, and his arms and legs move, but his head doesn't seem to move. Excelsior (straw) stuffed. The smaller bear measures about 14". He has glass eyes, movable arms, legs, and head, and the bottoms of both feet are marked "Germany" (appears to be stamped on in black ink). He also seems to be stuffed with excelsior/straw. Would love to know what types of bears these are, and approximate dates on them. 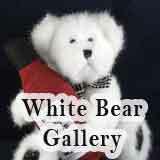 I'm quite certain both bears are antique. The "Germany" mark is an oddity, I agree. 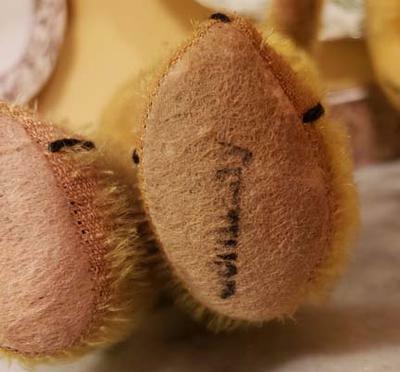 I have a friend who appraises (primarily dolls, but other things as well) for the Antiques Roadshow, and also know someone who is one of the leading experts on Steiff. As such, she is knowledgable about antique bears other than just Steiff. They examined the photos and said the bears are antique. One of them -and another person on an antiques bear and doll group who collects antique bears- said the "Gemany" stamp on the bottoms of the feet is peculiar, as they said these bears are almost certainly American. Both bears are stuffed with excelsior and are HARD bodied. The larger bear has had part of his neck mended. 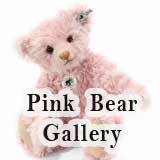 I'm not a bear expert - I'm actually an antique doll collector who occasionally buys bears that appeal - but I have been an antiques collector and dealer for 30 years. I've seen a lot of the newer bears that people use aged-looking fabric and materials to make a new bear look old. That doesn't seem to be the case with either of these two. And although I did find them on the same day, my husband and I were on an all-day antiques mall trip. 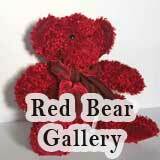 The larger bear was purchased in a shop in Indiana. 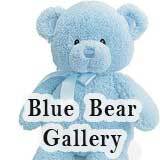 The smaller bear was purchased in a shop in Michigan. ...but something is amiss. 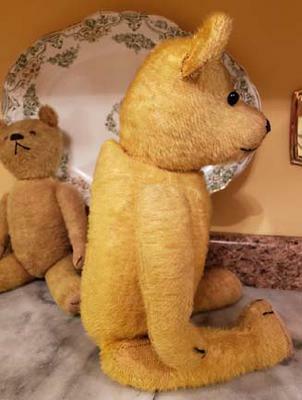 To find one, let alone two genuine antique bears in such good condition with eyes, noses, ears and even all claw stitching still intact is raising questions for me. Even their paw pads look pristine and un-mended. The stamping of 'Germany' on a foot pad also seems odd. Had that been done 70 or more years ago the ink never would have survived unless the bear was hermetically sealed. It's difficult to say from the photo's provided. My personal guess to these two is that either someone has rebuilt two very old bears (not just repaired them) or they were more recently made to look like old bears. Old mohair is available and folks do still stuff with excelsior. Aging techniques are also better than ever in attempting to create an aged look. Again, just my own opinion, but these two look a little too fresh to be old. If they ARE antiques... what a score! Great looking pair. You're lucky to find such a pair of handsome teddy bears. 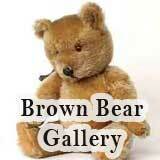 Often old bears get thrown away and are lost forever.